Replace any negative or limiting thoughts with something positive or nothing at all. Do whatever it takes for you to develop a quiet and open mind. Every day take five to fifteen minutes and draw or paint something. This can be a new piece every day or a continuation of prior work. • Remember that technique follows your creativity. Learning new techniques can trigger a fresh surge of enthusiasm and creativity within you. Use this energy as a way to reach new creative heights. After you learn a new technique (and practiced it) “forget” it. Trust that your subconscious mind will remember the techniques you’ve learned when you need them. This will ensure that you don’t get so caught up in the mechanical aspects of painting that you neglect the creative process. • Smile when you paint! You’ll look better, you’ll probably feel better, and you may even paint better! Have you ever wondered if or when you’ll be “good enough” to create art that really pleases you? Do you ever find yourself artistically stuck – jumping between different styles or techniques unable to figure out what and how you really want to paint? Do you find yourself wanting to be like every good artist you’ve seen, and then realize that you have no real idea of who you are as an artist? As artists we can become so caught up in consuming knowledge, accumulating more and more in the way of skills and techniques that we can forget what we are truly about. We are creators. At a time when citizens are regularly referred to as “consumers” and “retail therapy” has become the norm, we stand apart as creators. Before you pick up another brush think about this. Your images may be decorative, transcendent, naïve, poetic, strong, weak, ugly, beautiful, mundane, unforgettable, good, bad or somewhere in between. Regardless of your own and others judgment of your work, remember that out of paint and paper and through the movements of your body you create something material from thought and sensation. Nurturing your process of painting ensures your creativity will continue to evolve and that the art you create will be true to you. You’re reading this because you intend to improve your painting. Attention to craft is noble, but beware of holding yourself to standards that may have nothing to do with your life and skills. Many times adult art students despair of ever living long enough to get “good enough”. The thing to remember is that every time you pick up your brush your palette is not limited to the colors in front of you and the techniques you’ve mastered. Your palette includes your lifetime of experience. We’ve all seen amazing drawings and paintings by young children. Beautiful colors and design flow easily from a child unencumbered with limitations. Even if your childhood ended decades ago, you can still rediscover the open mind that comes naturally to a young child. 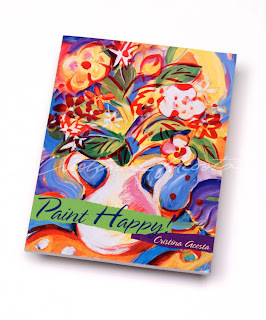 In my book, Paint Happy I teach you to get in touch with your inner creative self. Think like a child, (albeit a very experienced child) and disconnect your limitations. You’ll naturally reconnect your creativity, resulting in art that emanates from the palette within you – the unique combination of life experiences and art skills only you have. 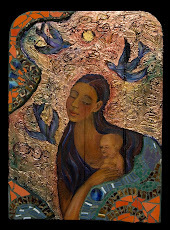 The artist Elizabeth Layton didn’t began painting and drawing until she was 68 years old. From that time until her death in 1993 at age 84, she produced a body of art that continues to be displayed and collected in public and private collections nationwide, including the Metropolitan Museum of Art in New York. Research her work online and you’ll see how she combined the simple technique of contour drawing with a life palette of rich experiences to create powerfully moving art. This article was originally published in Palette Magazine in 2005. Color theory is a science. The same concepts I use in interior design or home decor product development have their origin in my training and experience as a fine artist. Here's a demonstration of how when colors shift in temperature (relative warmth and coolness), the emotional or kinesthetic tone of the piece shifts. In my book, Paint Happy! (2002, 2004 North Light Books), I talk about ratios of warm to cool colors. My theory is that all (Yes, I am getting a bit global here!) design is based on Repetition/Variation of design elements. Designs (any image) have a ratio of one to the other. Here's an exam ple of how I changed those ratios explained with images of paintings from my Paint Happy series (same as my book!). FYI, Paint Happy! (the book) is officially out of print, but you can get a used copy on Amazon and if you really like it, please write the publisher and ask them to reprint it. First I created the painting Fish Dinner with mostly warm colors (orange and yellow) in a ratio to cool colors of about 70%/30%. Then, a few years later I wanted to revisit the theme, but with cool tones, so I painted the next picture, Red Fish Blue Fish. The painting isn't a slavish copy of it's warmer sister, mostly because I don't do slavish copies, it's not in my temperament. Nonetheless, it's close enough that you can see how the ratio of warm to color colors is 70%/30% or 30%/70% depending upon how you're looking at it. See more of my Paint Happy series of art on my site. Color can change the way you perceive architecture, and it's the least expensive "remodel" you can do! Artists know that color "moves" visually in space. Colors recede or advance depending upon where they are in relationship to each other and their surroundings. The photos below are examples of paint colors that I used to enliven the structures. The first picture is a residential home. 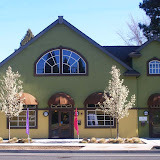 The second is Cascade Middle School in Bend, Oregon. The third group of photos is of a spa housed in a remodeled old church. Fascia Color (trim around the roof and possibly the belly band (6" - 12" wide plank trim that separates 2 stories, or the body of the house from the peak of the roof). The example of the home below (my house) shows this idea contemporized to suit the mid-century modern sensibility of my 25 year old home. Originally the windows were un-trimmed, so I only specified a fascia trim (in tan). 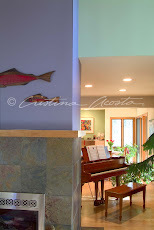 To enhance the modern segments of the architecture, I had those segments each painted contrasting colors. The palette was inspired by the colors of the beach pebbles and flora at Elk Lake, a nearby High Cascade lake. Buy the best paint you can afford and make sure it has a UV blocker in it. Ya gotta be wrong to be right. This maxim doesn't apply to every situation, but it does apply to creative work. If you've ever had a boss who wants you to "try something new, just don't mess up," or if you grew up with authority figures that loved creativity as long as you didn't go "outside the lines," it's time to learn how to fail. There, I said it, the "f" word. Fail. I love that word. I used to be terrified of it. Like the bogeyman-under-the-bed phase, it took me awhile to outgrow my fear of failure. I used to invent scenarios about what I would do if/when things went wrong, then invent solutions to save myself. What a waste of creative energy. Most things we worry about never happen, and if they do, the details are always different that I ever could have imagined, so none of my safety-scenarios would have helped. Stay in the moment. If that isn't working mentally, hold your breath. There is nothing like waiting to breathe to get you into the moment. I learned this doing water sports. Fail at something you're doing that's teetering in the direction of failure. Let it fall consciously and with intent (also called "letting go") and surprise yourself with what you do next. Think about your failure as one of the launch pads to success. Even Tiger Woods doesn't make every ball he hits. Look for the lesson in the failure and use it to build your next attempt. With every failure, you'll be that much closer to your goal, or know when you've tried enough. Be willing to quit. A thoughtful and considered ending is wiser than sticking with something just so you won't "lose". 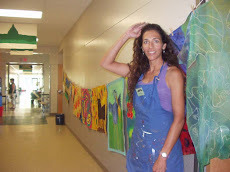 Take my art class this summer with Art in the Mountains. Have you ever stood in front of a color rack at a paint store, starring at hundreds of color samples and felt confused? It can get even worse if you go in thinking that you might remember something about color from a long-ago art class, then discover that nothing makes sense. Here's how to start making sense of what you are seeing and hearing at the paint store. Starting with the right vocabulary is your first step to success. • Color – Any hue, tint, tone or shade. In other words, any color. • Color Wheel – A round graphic chart showing the relationship between primary, secondary and sometimes tertiary colors. Used to explain basic color mixing, the principles do not apply directly to how paint stores mix color, as most commercial paints rely on bases to modify the colorant. • Colorant – The pure pigment that a paint store adds to a base to create a color. • Base – This is the base product a paint store begins with. It is the “paint” without any colorant added to it. The base color changes depending on the darkness or lightness and the warm or cool tone of the color being mixed. 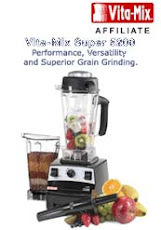 Bases are used only in the paint-store mixing process. • Hue – Specifically refers to a primary, secondary or tertiary color on the color wheel. Though not specifically accurate, many people use the word interchangeably with the word color. • Primary Colors – these are the three colors on the color wheel from which every other color is created: Red, Blue and Yellow. Do not use this term to apply to bright colors in general, as you may confuse the person in the paint store who has a more specific vocabulary. Again, paint stores do not mix a color from the primary colors, they begin with bases. • Complementary Colors – These are pairs of colors that are opposite from each other on the color wheel. Artists mix them together to create beautiful variations that include browns and other “neutral” colors. We’ll use this term when describing the interaction of a variety of colors in the same room. This term doesn’t mean much in a paint-store setting as colors are mixed using a pre-determined combination of a base and colorant. • Tint – This word has two meanings. To artists and color experts, it means any color that has white mixed into it. In a paint store, it refers to adding colorant to a base. • Value – The relative lightness or darkness of a color. • Color Temperature – The relative warmth or coolness of a color. • Saturation – Refers to a color that is more color than white. The darker and/or “more pure” the color is, the more saturated it is. See paint colors for interiors on the Project Portfolio page of my website. Ask Cristina: How Do I Accent a Monochromatic Color Scheme? Sounds like you have an exciting interior design project that is mostly done and now you are in the fine-tuning stages. What you are describing is mostly a monochromatic color scheme (one color). Primarily your color is brown with brown variations in tan, cream, chocolate and beige. Brown monochromatic color scheme (formed with parents of red and green) accented in analogous colors. 1. texture 2. color temperature 3. value. Great Room concept (blended living areas) where different living areas are grouped together and visible to each other. For a monochromatic color scheme to be interesting it's important to vary aspects of your palette, something you've described doing, such as variations of the same color (or nearly the same) with variations in both value (the lightness and darkness of the colors), texture (smooth wood, granite, tile, textiles, metal), and color temperature (warm cherry wood brown colors contrasted with relatively cool browns like dark chocolate and bronze). I especially like that you've added a few accents in red and amber. Red and amber are what are called analogous colors. That means that red and yellow (the dominant parent color of amber) are next to each other on the color wheel. Because brown can be mixed with a combination of red with green, by choosing red and amber accents you've done a great job of intuitively choosing accent colors that directly relate to one of the parent colors in the brown blend. Putting an accent wall in the dark chocolate tones of your monochromatic palette was a good choice as it's a color value variation that creates interest without breaking up your color palette. I'm giving you a bit of a technical explanation to explain your choices, so you'll know why your intuitive decisions have worked so far. The amber color in the kitchen is a good choice because the amber color is related to the brown (yellow being an analogous color to red, one of the parent colors of brown). Experiment with at least 3 shades of amber. Choose one that leans towards Green, one that leans towards Red and one that is very Yellow/Brown. Test them to see which looks best with your existing choices. Send me a picture when you're done. A before and after would be great. 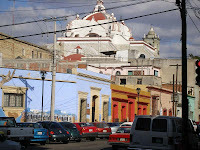 In February I traveled with an artist friend to the colonial city of Oaxaca, Mexico in the state of Oaxaca. 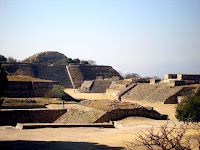 We traveled around the city, shopped and visited the pyramids at Monte Alban. Not only did I get a chance to practice Spanish and explore, I was able to visit with local artists. Located in the south of Mexico, this capitol city is in the mountains at about 6,000 feet elevation. The geography looks a lot like San Diego County in the U.S. did during the 1970's. It's dry and hilly with farms. The city is many centuries old and is the home to about 600,000 people. The presence of indigenous people from any of the 16 formally registered indigenous communities gives the city a unique flavor that I found especially interesting. We stayed at Casa Colonial, a Bed & Breakfast type of funky/charming hotel about 6 blocks from the city center (a city center is called the "Zocalo" in Mexico.) In the Zocalo, the markets (mercados) and surrounding villages are many artists and artisans selling items the area is famous for: Woodcarvings of fanciful creatures, black-clay pottery, green-glazed terra cotta pottery, and woven goods like shawls and rugs. Some of the handwork is what I call production-work. Production-work is obvious when you see many of the same thing made almost exactly same way. Other work was much more artistic. This was especially true of the much more expensive pieces, where an artist took the risk to invest a lot of time into the work in the hope that the piece would sell. After a week of looking at so much handwork I realized that often the difference between art and craft can be purely economic. Without supporting sales the artist can't take the risk to invest time into involved pieces, therefore they'll put more time into creating small (and predictable) tourist trinkets. 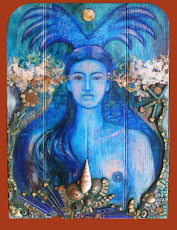 With that in mind I bought a rug, a wood carving, etc., etc., to support the local artists. Shopping isn't usually my thing, but in Oaxaca I really got into it. Calling the process "collecting" instead of "shopping" seems to be my magic spin. Happy travels! Photos: Rugs - This vendor makes and sells the rugs produced by his entire family. He had a binder of press clips and an artist resume. Woodworker: The man in the center owns the business. 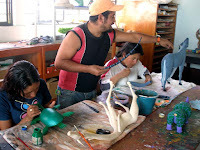 The men in the family carve the figures from copal wood. The women do the painting. 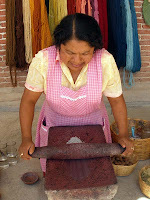 Textile Dyes: This woman is the wife of a famous weaver and a wonderful weaver in her own right. Here she is demonstrating crushing the natural plant materials to make powdered dye. Note the skeins of wool hanging behind her. The psychologist Mikaly Csikszentmihalyi coined the term flow to describe the mental state when a person is fully focused, energized and involved in what they are doing. Also referred to being "in the zone", this state is a characteristic of the creative process. When I first read about Csikszentmihalyi's description of flow, I recognized it immediately as the name for the state I often experience when painting or doing sports like skiing or windsurfing. When I'm fully immersed in painting I'm in the flow state. In the arts, I describe flow as the sense of my body being a conduit through which the art flows unimpeded. I feel as though I have left my conscious mind behind and gone to a state I call super-consciousness, where I've given up critical thought, allowing the work to manifest. At first, I thought that I would be more creative if I stretched these periods of super - consciousness. While working, I'd notice that I was in flow and use meditation techniques to resist the urge to "surface" from the flow to a controlling thought. I discovered that it didn't really result in better work. For me, balancing flow with creative control results in an experience I can only describe as a sense of flow that takes the shape of a long zig zag. Whether the shape "zigs" up or "zags" down, the axis of the shape always continues forwards. The time when I stand back and assess my efforts and consciously decide (or control) what to do next is the "zag". The time of unimpeded flow is the "zig". Flow happens, flow doesn't happen. And the cycle repeats. Hi, I'm Deanna Marie Wolfe, the little girl in the painting holding the dog is me. My parents were friends with Edward and Maxine Runci. I own a very similar painting my parents received from them. It is hanging in my home. I also own a few of the Walter Foster Art Books with my portrait on the cover (same as on your web site). Your site is very cool thanks. Do you want me to forward a picture of the portrait I own they painted (according to my mother they painted my portrait together with Edward adding his touches with the brush along the way.) I hope you get th is and respond and thanks again. 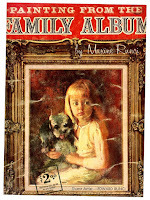 Thank you so much for contacting me about your participation as a cover model for Maxine Runci's art instruction book, Painting from the Family Album. I love "what ever happened to...." stories, and I think your information is a valuable fact for any future Runci enthusiast. 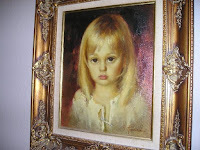 Here is the lovely picture you sent me of another painting they made of you at the same age. What a beautiful portrait. 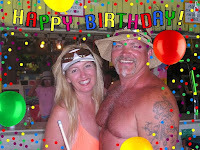 And thanks for sending the current photo of you and your husband. You look beautiful! The days are getting longer and it's almost time for the Vernal Equinox. More sunshine is on its way! To get through the rest of winter I recommend more chocolate! I visited Oaxaca, Mexico last month and along with enjoying the wonderful arts, crafts and ancient pyramids, I discovered a recipe for you, Chocolate with Water (Chocolate con Agua). Oaxaca is renowned for chocolate, and much of it is consumed as a beverage. Along with traveling, I am fortunate to be able to share my art with the staff and patients at St. Charles Hospital in Bend, Oregon, through March & April. 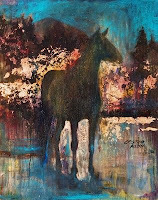 My art exhibit at St. Charles Hospital is of mostly my large-scale oil paintings from my Animal Spirit series. Deer, coyote, raccoon, raptors, other birds and animals visit my garden year round (despite living close to town). I long ago gave up typical gardening so that I could support the wildlife with feeders and water features to make up for the diminished forage they have since development in the area took off. I photograph and draw the animals before painting, only creating paintings of animals I’ve actually encountered. On the wall near the hospital chapel hang 4 of my Madonnas. 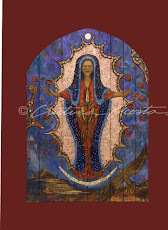 One of those paintings, Guadalupe with Tear is also featured in The Business Journal of Hispanic Research, a bi-annual publication of the National Society of Hispanic MBAs. The periodical supports credible, peer reviewed research on Hispanics. They are changing the business environment for the better! The change of seasons always inspires some people to paint their house. A journalist recently interviewed me for a national article about home exterior paint colors. If you’re feeling ready for a color change, I have a few choosing paint color tips on my website. Subscribe to Cristina's Newsletter for once a month news. If people choose colors with as much confidence as they choose their music, you’d definitely get more of a sense of who they are when you view the results. Far more people are confident about their taste in music that are sure of their color sense. Because of that, many people are afraid to experiment with paint colors and often will choose colors for their home that seem safe – These are usually colors that they think other people will approve. Just as we all don’t dance to the same tunes, paint colors don’t have the exact same effect on everyone. You may find that a color you love in one place doesn’t work at all in another location, whether that’s another room or another home. It’s the same thing that happens when a favorite album cut just doesn’t suit your mood at the moment, or you lose interest in it completely. As you change along with the world around you, so does your perception of color. Josette Buisson, the Artistic Director of Pittsburgh Paints says“…conclusions (about color) are drawn from more subjective considerations, like the impact of technology on our life, our self-definition, and our relationships to one another.” She has developed a program for Pittsburgh Paints that links paint color choices to personality tendencies. So take time to discover which colors really grab you – not just the colors you think you “should” like. Peruse the websites of paint companies. Head to the store and collect paint chips of any paint color you’re interested in. When you have at least a few dozen samples, you’ll start to see a trend. Often you’ll surprise yourself when you see which colors you like. Large Photo: These two pictures are from the same Hacienda-style home. For this formal yet friendly living room my clients chose wall paint colors in a subdued monochromatic palette of browns and golds. These wall colors express a calm and relaxed yet lush attitude. Small Photo: A fiesta of color brightens the guest bath. The guest suite is down the hall from the more formal living room. Don’t be afraid to change moods throughout the house. 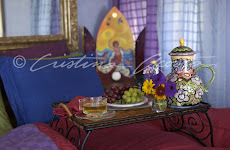 Staying within the Hacienda concept, my clients were able to include more than one color palette.